A rare poorly understood illness among cannabis users in legal states is generating controversy. But Is CHS caused by cannabis or chemical pesticides? While those who always seem eager to latch onto any anti-marijuana information are insisting that heavy, long-term marijuana use is the sole cause of CHS, some experts are saying there must be another missing piece to the puzzle. 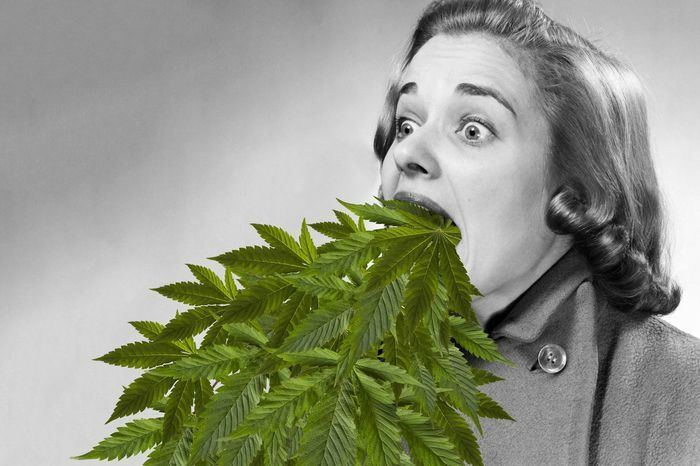 Given the non-toxic nature of cannabis, it’s puzzling that a substance used as an anti-nausea measure for decades would actually cause vomiting. Emergency room diagnoses have doubled since 2009 for Cannabinoid Hyperemesis Syndrome. Since 2009, emergency room diagnoses for CHS in two Colorado hospitals nearly doubled. But that may not be as dire as it sounds; many physicians have just become aware of the diagnosis in the past few years. Now that the word has gotten out among doctors, it’s a two-edged sword. On the one hand, it’s fortunate that doctors can allay the fears of patients who aren’t sure quite what is happening to them. On the other ( and I have seen this happen multiple times among friends) some anti-pot physicians can very dismissively ascribe symptoms to CHS when, in fact, they are indicative of other serious medical problems completely unrelated to CHS. “We have patients being refused treatment for actual flu vomiting in Denver emergency rooms because they said ‘yes’ when asked if they use cannabis,” said Martha Montemayor, clinical nurse consultant and director of Cannabis Clinicians Colorado. These doctors, of course, would point to the obvious: that CHS symptoms usually disappear after a few weeks of abstinence. But this would be equally true, of course, if some impurity, whether pesticide or chemical fertilizer were present in the weed. Cannabinoid Hyperemesis Syndrome (CHS) was first recognized in 2004. The earliest study which focused on CHS was in 2004 when Australian researchers noticed patients experiencing cyclical vomiting symptoms. They found the common factor of cannabis use among the patients. Seven out of 10 subjects who abstained from cannabis resolved their cyclical vomiting; the other three patients refused to abstain, and their symptoms continued. Now that the symptoms are becoming more well known among physicians, patients who would formerly have been diagnosed as having cyclical vomiting syndrome (CVS) are now being diagnosed as suffering from CHS if they use cannabis. Why would cannabis cause CHS? Scientists at Temple University have theories that activation of CB1 receptors, primarily by THC, could result in the inhibition of gastric acid secretion, along with the relaxation of the lower esophagus. Altered intestinal motility could result in visceral pain and inflammation, and delay gastric emptying, resulting in pain and nausea. The paradox, of course, is that THC, when consumed heavily for a long period, could cause nausea via its effect on the gut, despite its anti-emetic properties in the brain. It’s important to note that there is no proof and not even any real evidence that THC, CBD or other cannabinoids actually cause CHS. There are no substantiated results. Many medical professionals are still skeptical. Many medical professionals remain skeptical of the proposals and theories put forth by CHS researchers. Authors of a 2006 Australian review criticized the original 2004 research that defined CHS. They said the 2004 study was flawed with poor study design, and that it was wrong in attributing increases in cannabis use to liberalized laws. While a few studies have generated interest in this topic, there have been no epidemiologic studies associating marijuana use with CHS, according to one report which concludes there is no definitive link. Could CHS be pesticide poisoning? While man has used cannabis for thousands of years without CHS symptoms, the cannabis people use has recently undergone a big change: chemical pesticides. Commercial marijuana farming operations are, by necessity, focused on production and the bottom line, so if an outbreak of pests such as spider mites occurs in a crop, they often use agents like azadirachtin. Azadirachtin is used in many products for spider mite and insect control, including the brand names Azamax, Azatrol, Aza-Sol, Align, Azatin, Turplex, and others.